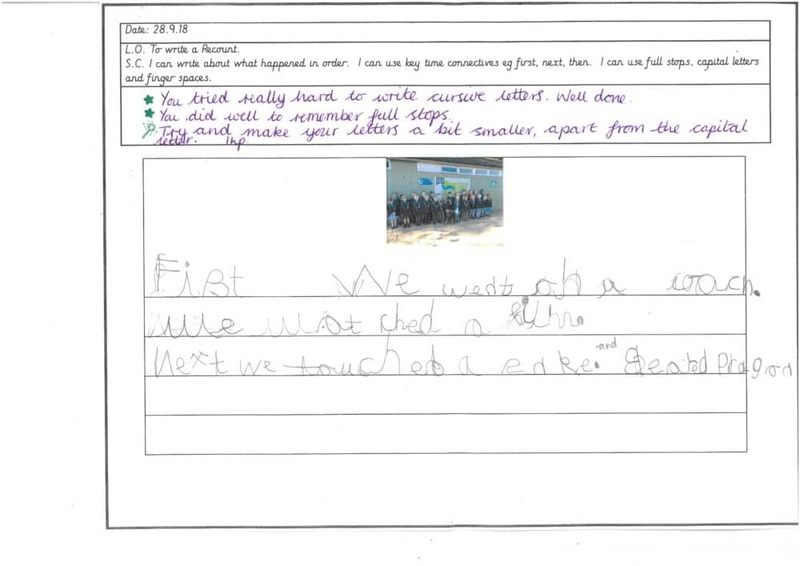 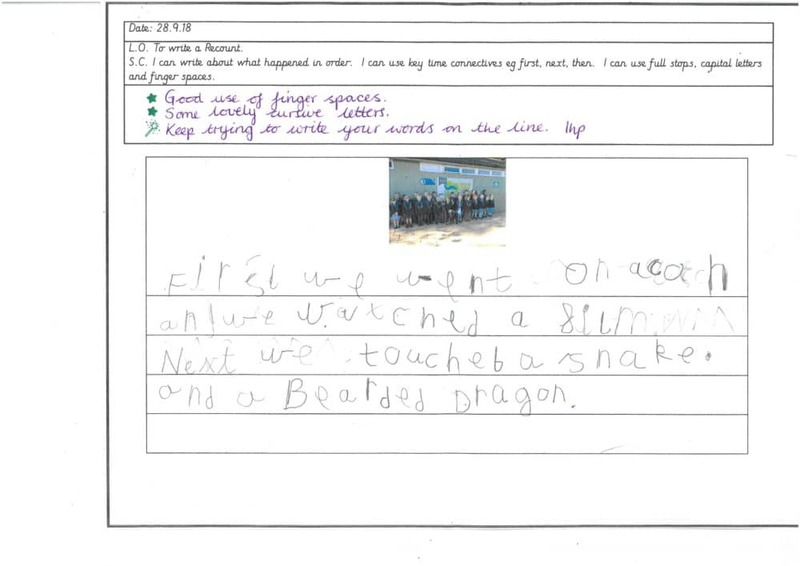 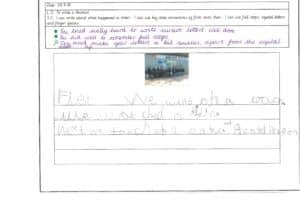 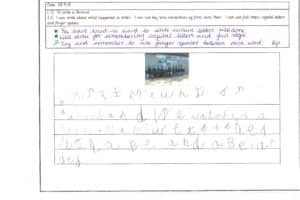 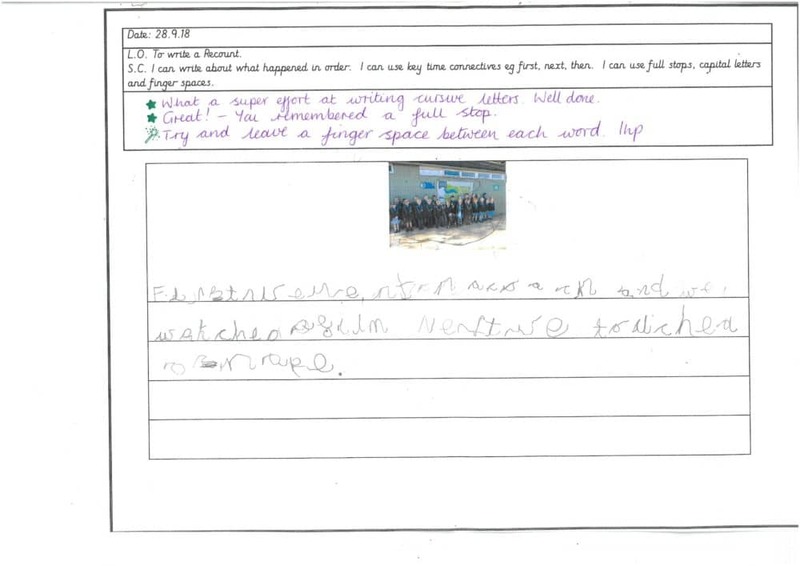 The children from Year 1 put together (with some support) these sentences about their trip to Knowsley Safari Park. 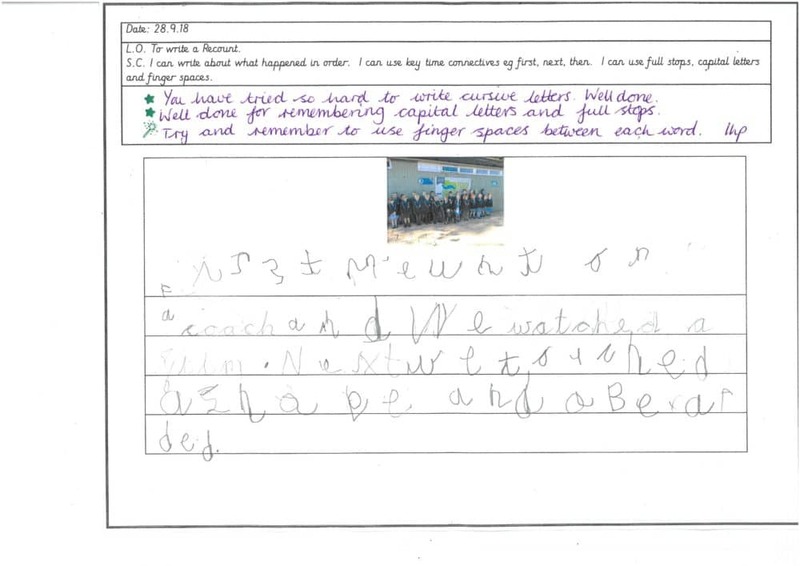 They then copied out the sentences trying their best to write with cursive letters, remembering to use full stops and to leave finger spaces between each word. These are all important skills to learn when beginning to write independently.